Department of Foreign Affairs has re-designed the electronic passports but you will notice that our country’s map was removed. The illustration of our map was removed because of political issues between our country and China and it is set to release next month. Frank Cimafranca, a foreign assistant secretary for consular affairs revealed to a local newspaper “Inquirer” that they decided to remove the map in passports because of the complicated issue surrounding the South China Sea and it is very sensitive. 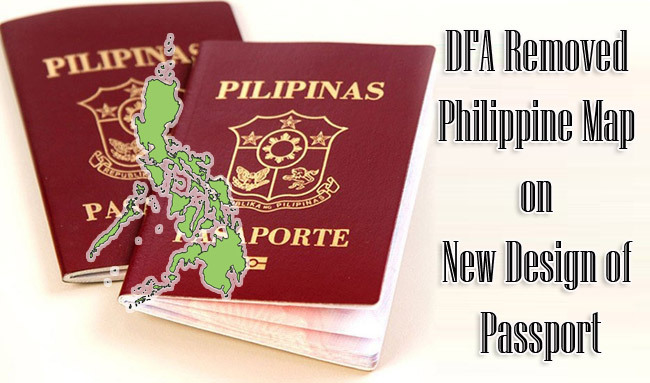 At their meeting , they analyzed and examined the new design of passports then approved it because they think that the removal of Philippine map is necessary because according to our Philippine Constitution, it is not accurate to the extent that it reflects our country’s territory. Aside from China, other asian countries such as Brunei, Vietnam, Taiwan and Malaysia are also claiming the South China Sea. Our country already filed a case against China for their intrusion at the higher court. Cimafranca also revealed that the other reason for redesigning the electronic passports was to upgrade its security attributes. There microchips that were inserted on each e-passports was improved to assure the security of Filipino travelers. The Intaglio secure printing technology that was built in e-passports has the same quality in International Civil Aviation Technology (ICAO) of America. The new design of e-passports was exclusively shown to Inquirer. It includes the lyrics of our national anthem and icons of the Philippines like Philippine eagle. There were also images of our tourist places like the banaue rice terraces in Ifugao. With the redesigning of e-passports, most of the netizens were disappointed. A netizen name Toto Penaflor voiced out his opinion by saying that DFA cop out and for once, we should stand our ground and don’t pander to China. Another netizen Jason Barretto was unhappy about it and called the DFA Cowards.